We have the first 800m installed and have a further 1000m to go. 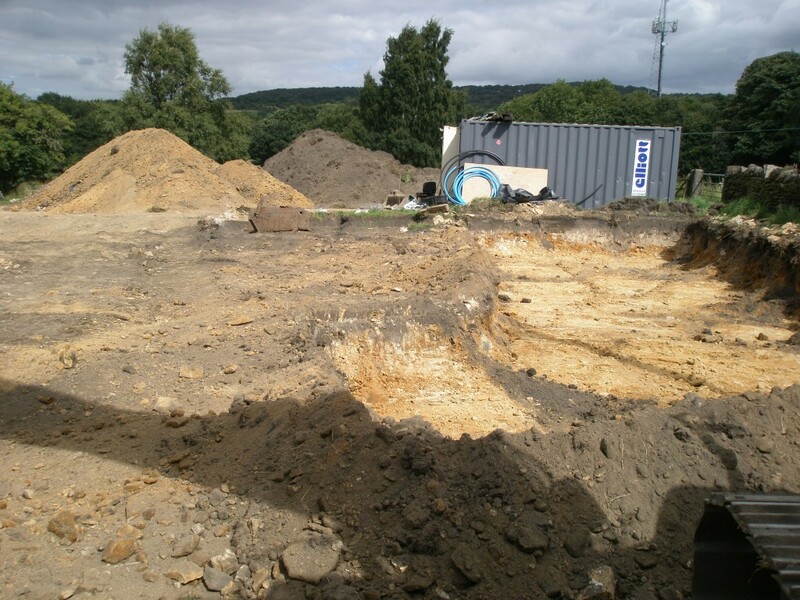 We have now back filled the area over the initial 800m and are now excavating the 2nd part of the field. 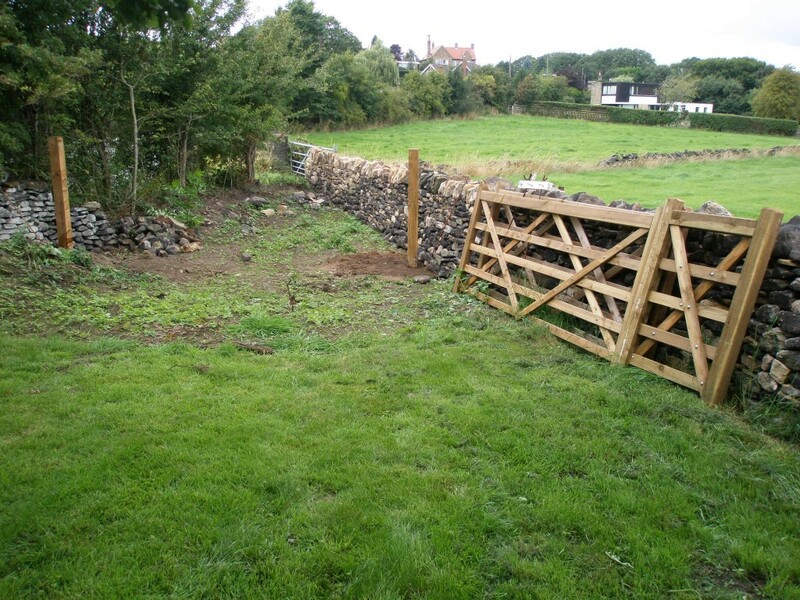 However, we had to move all of the top soil first that we had piled up on the other half of the field. This is turning into a lot more work than we first imagined, however, there is no turning back now. 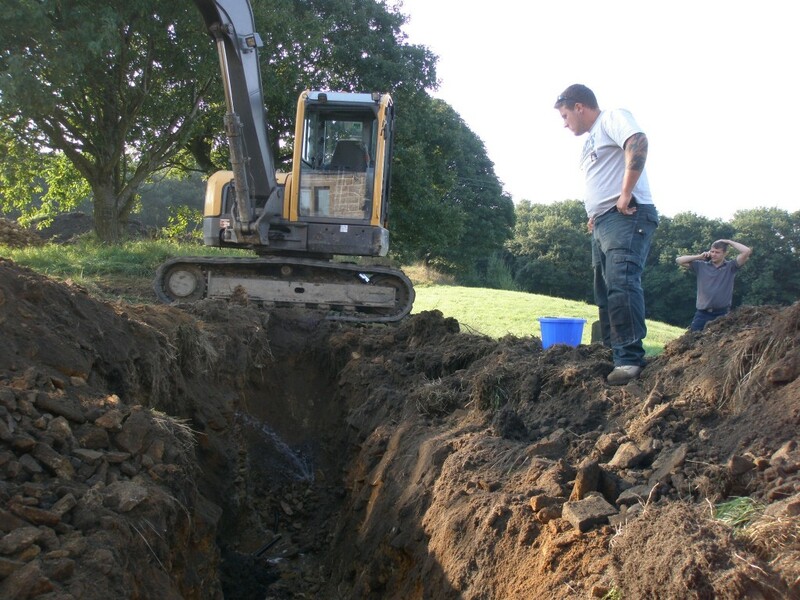 This is the second part of the field that we are going to have to dig up to install the final 1000m of pipework. Here we have removed the top soil and a strip of subsoil. 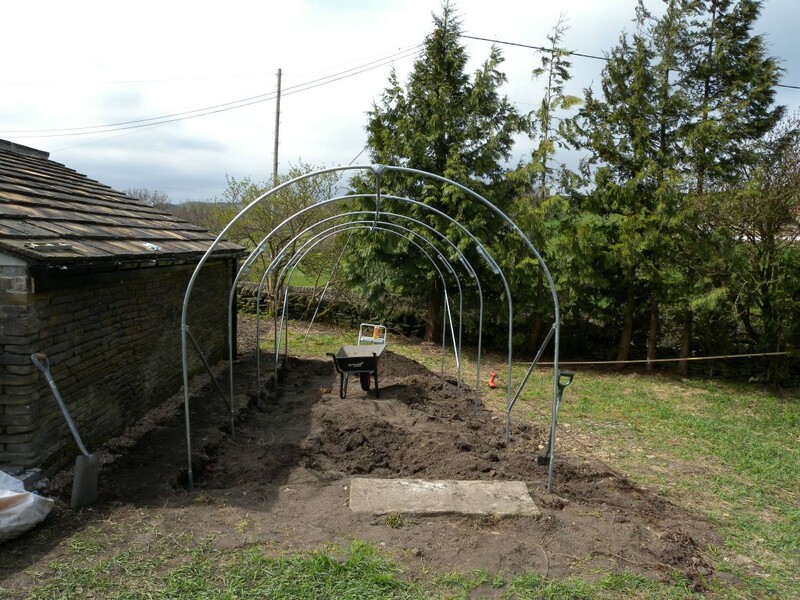 This takes the soil level down about a 1m – just enough for the ground loops. More of the field exacavated. 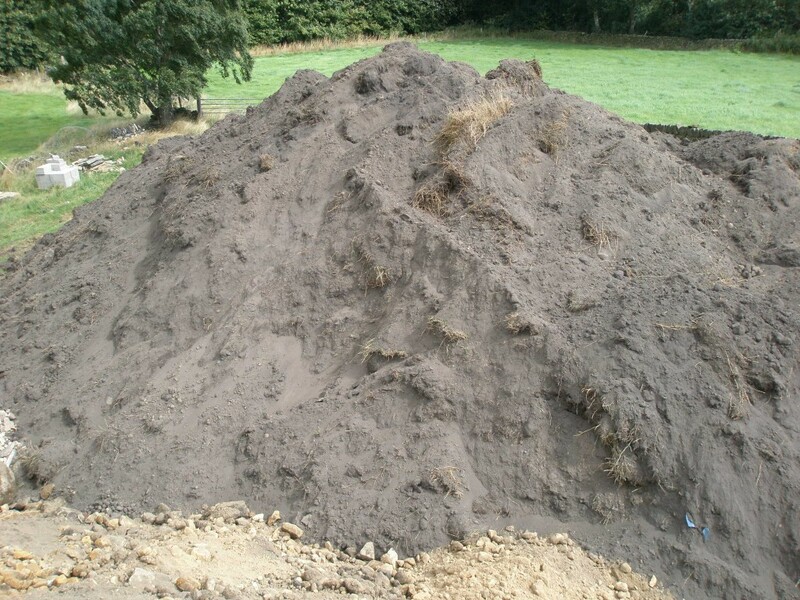 This is the heap of sub soil that we have excavated as the second part of installing the ground loops. 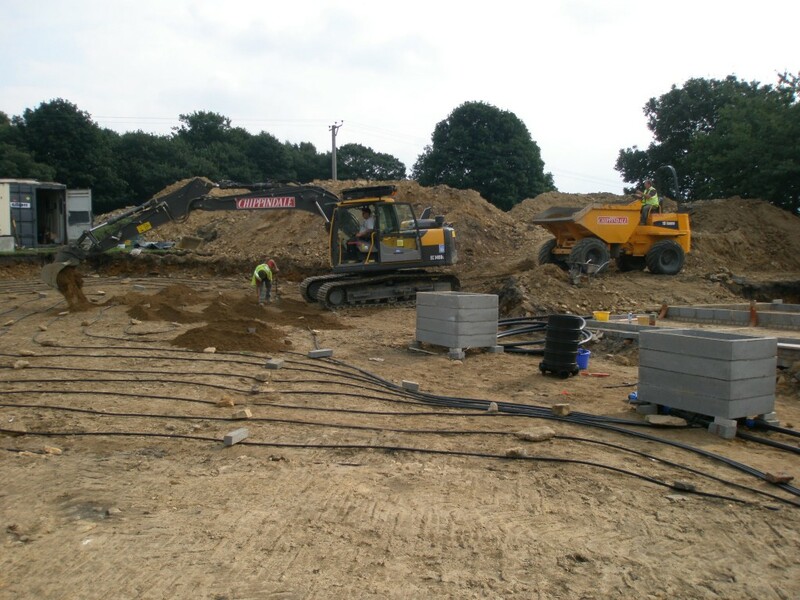 There is a lot more to come out before we are ready to install the last 1000m of pipework. 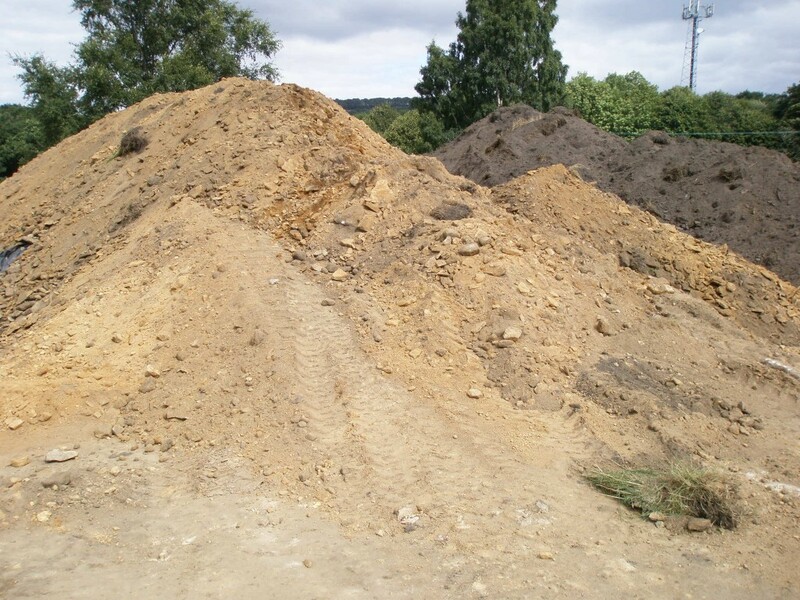 It is difficult to get a sense of the scale, but this heap of top soil is around 8-10m high. It has been a busy couple of days and we have started to reinstate the field over the 800m of ground loops that we have installed. We have pressure tested these pipes and they still seem to be holding 1 bar of pressure. The good news is that we will know straight away if any of the pipes get damaged. I suspect that they are more sturdy than we give them credit for, but we don’t want to take any chances. 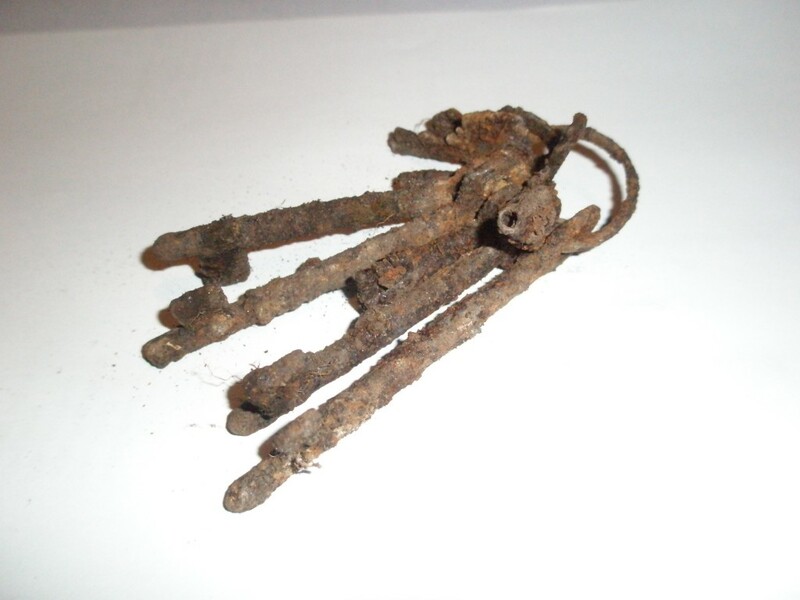 No one wants to have to dig them up later. 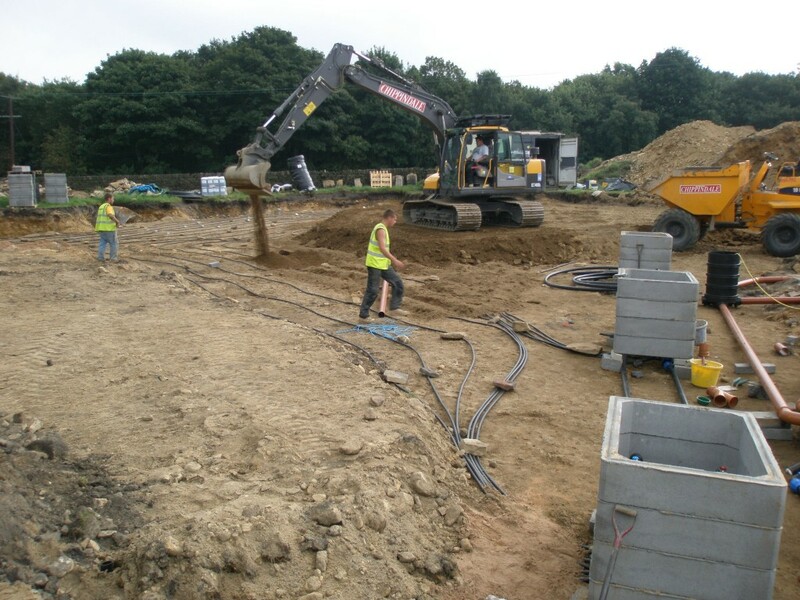 The drains are now all installed ready for us to pour the concrete slab in the new extension. 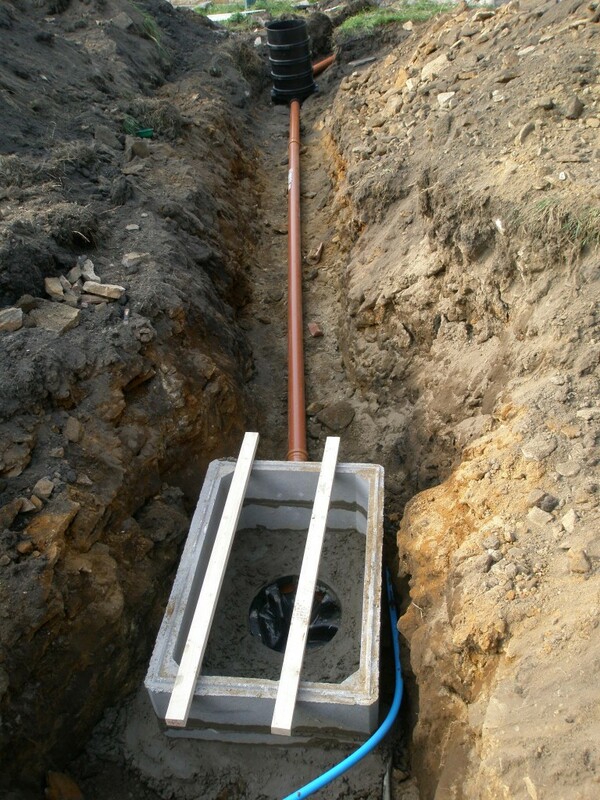 We have also connected up the drains to the septic tank. We have put a rubber bung into the drain and then filled all of the drains with water. If there are any leaks, they will show up straight away. The building inspector turned up towards the end of the day and signed off the drains. Tomorrow we will remove the rubber bung and let all of the water drain into the septic tank and then cover over the drains. There are just too many holes now on this site and it will good to get some of them filled in. This was taken by Ricky (one of the guys installing the ground loops) while stood on the spoil heap. 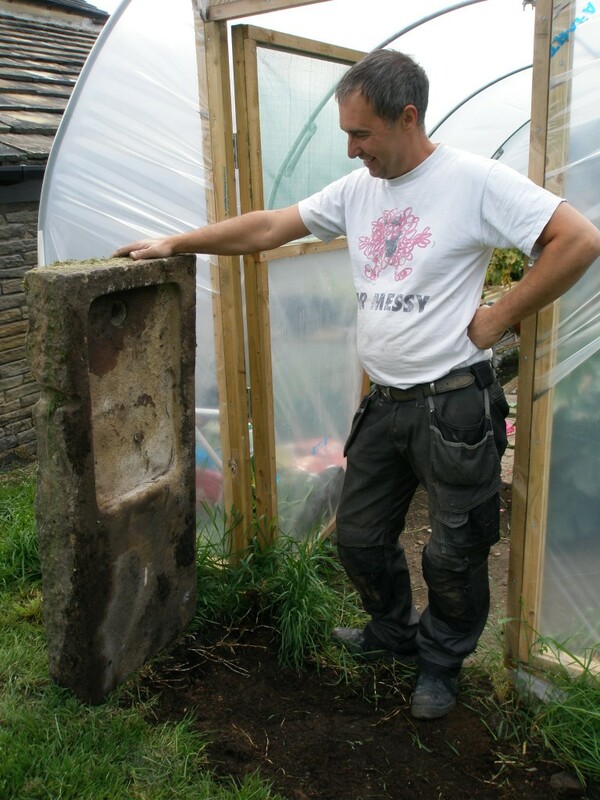 The stones have been used to weigh the pipes down while it is being back filled. They are removed as soon as the sand is laid down. 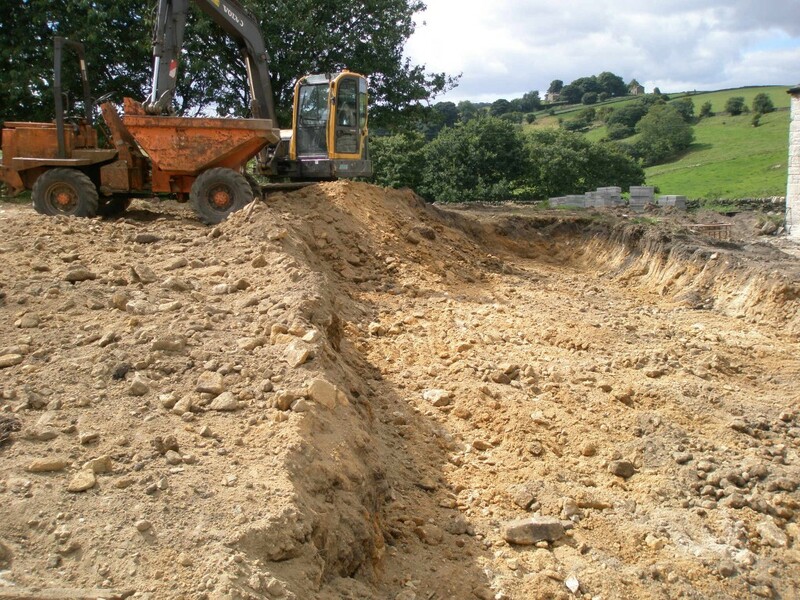 Sand goes down first on top of the ground loops first, then the subsoil is carefully put on top the sand. 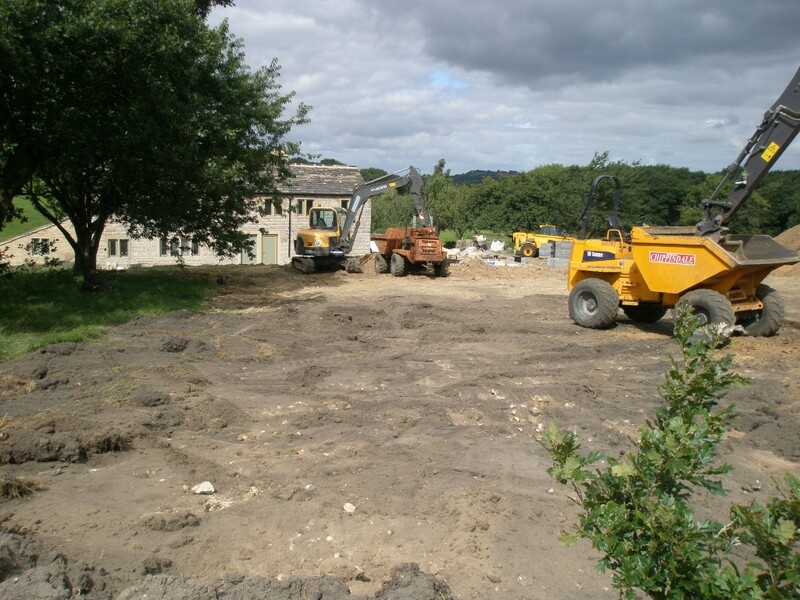 We have started to fill the area where the first 800m of ground loops have been installed. 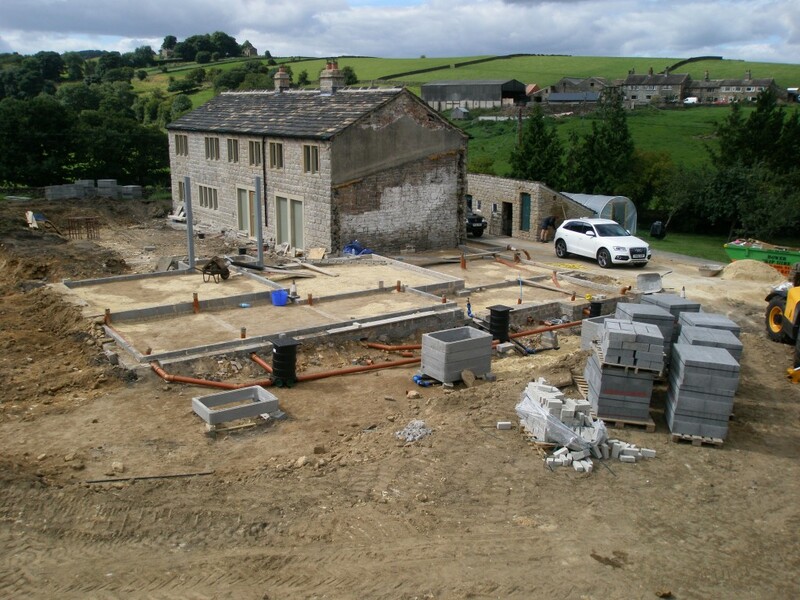 We have also finished sorting out all the drains in the new extension (see picture left). The hose is filling all the drains with water to test for leaks. There aren’t any! 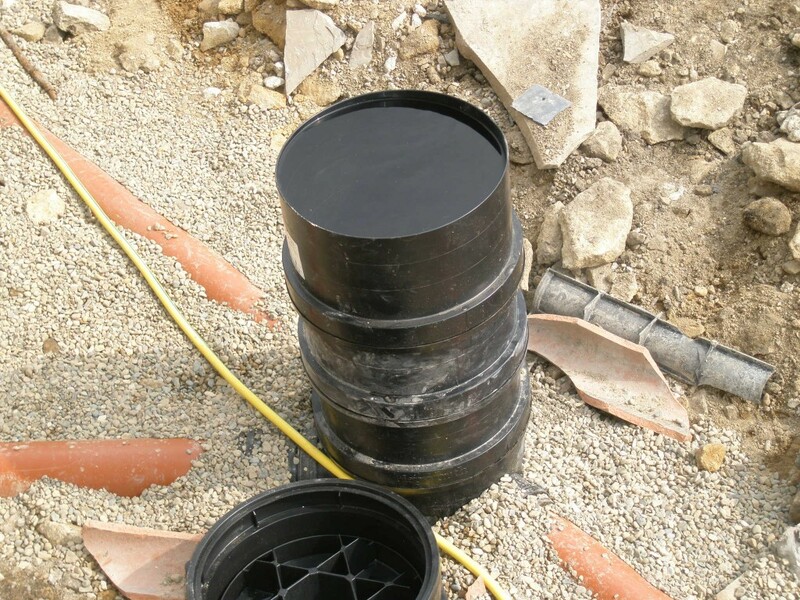 This is a manhole full of water. We have filled the drains with water to test them. 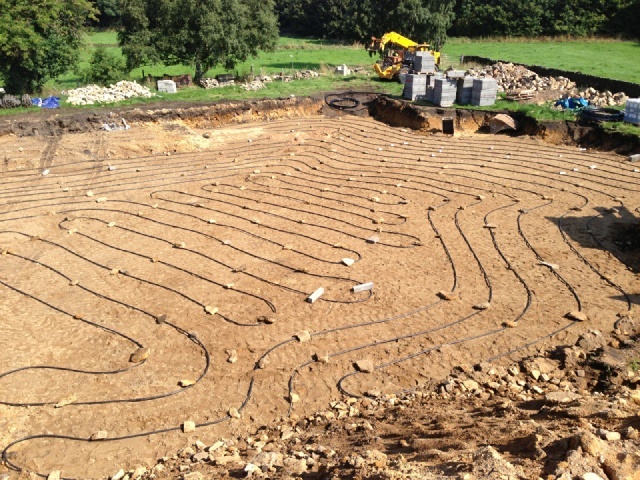 We have installed the first 800m of ground loops and have decided to pressure test them. 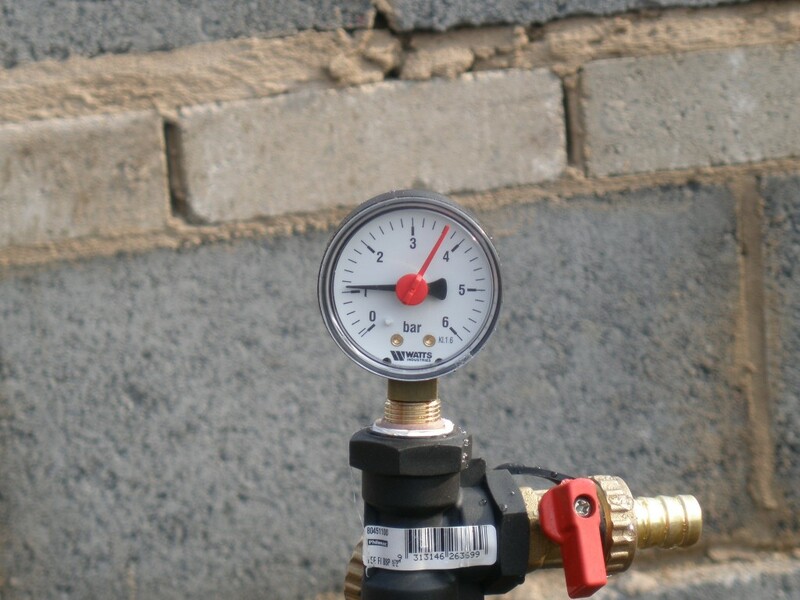 This means filling the pipework with water and increasing the pressure. We have put 1 bar of pressure into the installed loops and will see what happens overnight. Of course, we had to repair the water supply to start with! We have put 1 bar of pressure (water) into the first 800m of ground loops. If this goes down overnight, we know we have a problem. It seems strange to get excited about a flushing toilet, but when you have had to put up with a plastic toilet for the last three months, it makes all the difference. We have connected up an inexpensive toilet pan and cistern to the newly installed drains. 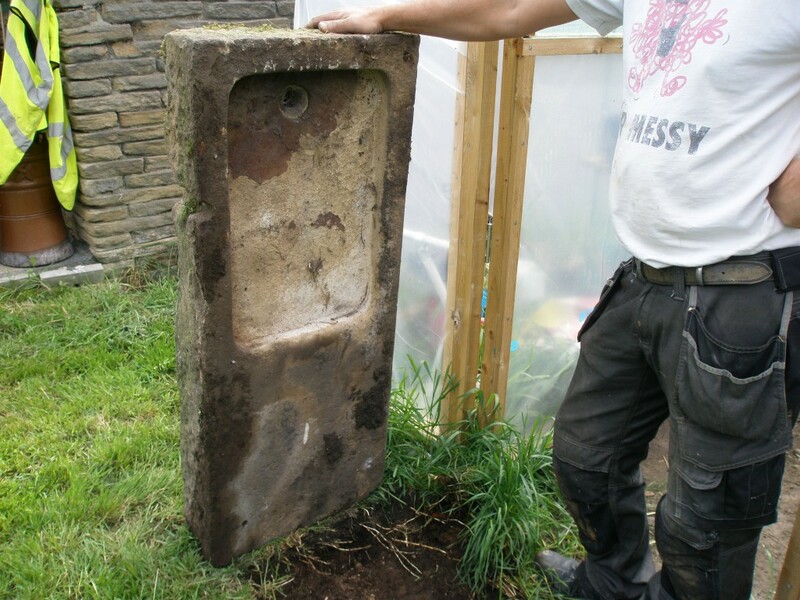 This means we now have a flushing toilet on site and we are starting to re-use the septic tank. This drain is going to be the last manhole before we get to the septic tank. The blue pipe is the repaired water supply. 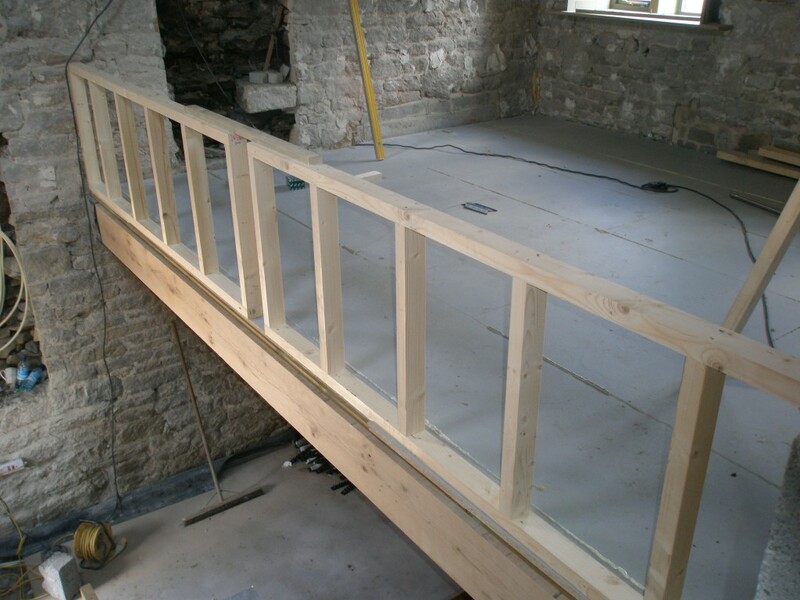 There is going to be a parapet wall between Jo’s study and the stairwell. This will be stud work that is plastered with an oak handrail. 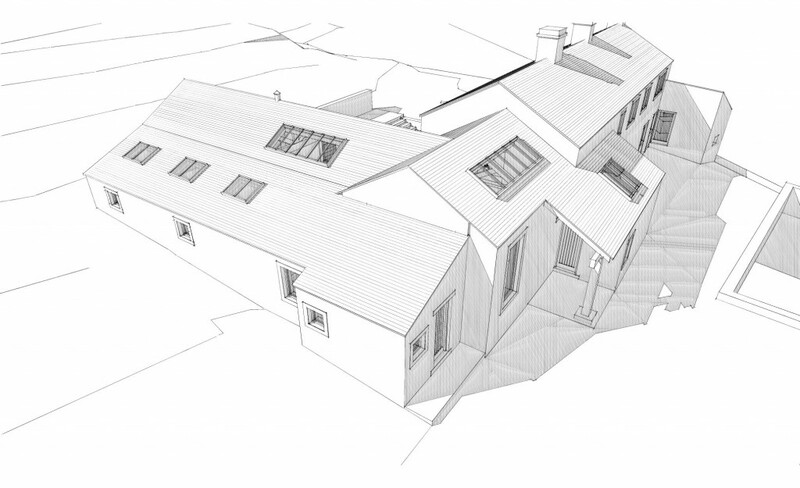 There will be an oak upright post in the middle connected to the king post truss above. The stud work was installed this weekend. There is going to be a small parapet wall in Jo’s office. 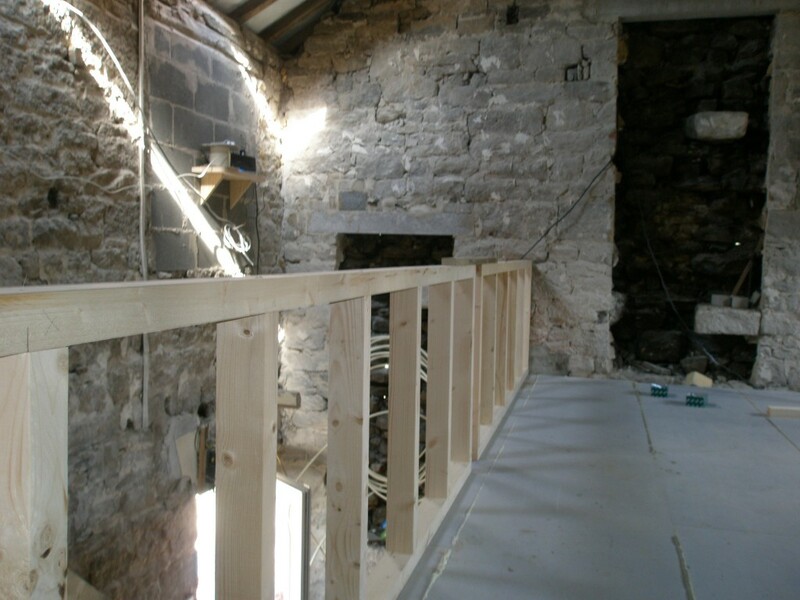 There is an oak handrail to go on the top, but for now we have installed it for health and safety reasons. The view from the stairwell. The gap in the middle of the parapet wall is to accomodate an oak post that will connect with the king post truss above. While looking for the main drain to the septic tank, we seem to have found the water supply for the property. Unfortunately, it was all a bit late. The good news is that it is easily fixed and we know how and where to turn it off. While looking for the main drain to the septic tank, we seem to have found the water main. It is only a plastic pipe and easily repaired, but it means no cups of tea until it is fixed.